I learned that there are, in fact, two kinds of walking in Britain, namely the everyday kind that gets you to the pub and, all weing well, back home again, and the more earnest type that involves stout boots, Ordnance Survey maps in plastic pouches, rucksacks with sandwiches and flasks of tea, and in its terminal phase, the wearing of khaki shorts in inappropriate weather. 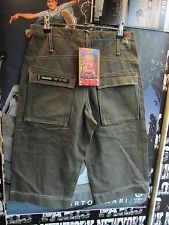 No, I am sure Marie would not be seen wearing khaki shorts. I did not want to drive over Mount Hotham when we were on our recent road trip, the main reason being I have never driven in snow and I know it can be extremely risky. I have learnt of this extreme risk from You Tube videos. Here is the latest one that has been uploaded, from Montreal in early December this year. A snow plough is what is needed and one was called but as you can see at the end of the 1:52 clip, the snow plough did not help the situation one little bit. It has been suggested that the Leader of the Country National Party and our Deputy Prime Minister is a heart attack waiting to happen. Barnaby Joyce is a crazy man, just not quite as crazy as Bob Katter who started his own party. Funny, I have not heard of Katter of late. I expect Katter is lost in the face of our delightful Senator Pauline Hanson and her One Nation Party. Our ABC gave Hanson a good run on Friday night. I can tell you as per the tv show 730, there are no environmental problems with the Great Barrier Reef. Pauline and those who live by Great Barrier Reef tourism told me so via our ABC. I thought it wasn't a great programme as there did not seem to be a direct rebuttal against Hanson's and the those with a vested interest propaganda. Scientific evidence is what I like. I am much more inclined to believe scientists who study the Great Barrier Reef. This is Barnaby Joyce, who threatened to shoot the illegal immigrants into Australia, that is Johnny Depp's dogs Pistol and Boo. 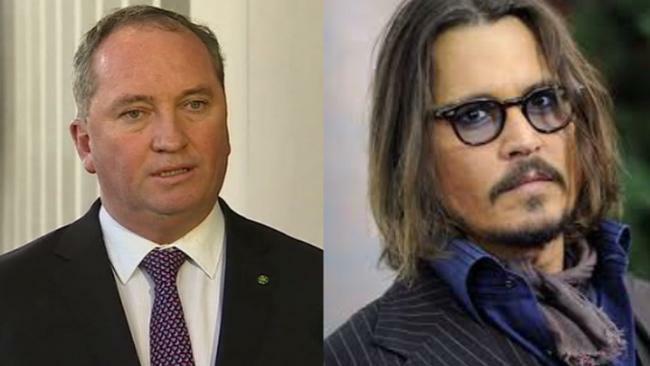 Depp made a crack about Joyce being a fat old politician before he most humbly apologised to our courts for his dogs' transgression. Well, Mr Depp. Joyce might be a fat old politician but have you looked at your own waistline of late? Depp, your arrogance knows no bounds and have spoilt my nice memories of you when you were but a youth. 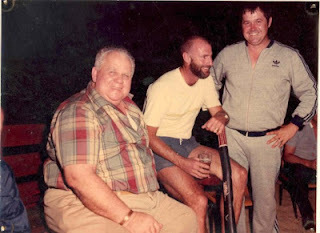 Queensland does have a history of corpulent and unhealthy politicians, thinking of QLD Minister for Police and Horse Racing, Russ Hinze, who died at 72 before he could be tried for corruption, where he would no doubt have been found guilty. Queensland was not alone in being a corrupt state in Australia, but I venture it was the worst, (with NSW nipping at its heels in the corruption stakes) especially under Premier Joh Bjelke-Petersen who ruled the state with as system of gerrymander that kept him in office from 1968 to 1987. As I recall, our ABC tv brought about the downfall of Petersen and Hinze with a couple of excellent 4 Corners investigations, one in particular called The Moonlight State. I watched them at the time and I was shocked. No intention to tar Hinzes' grandaughter with any brush, but Kristy is quite well known by some celebrity followers. But not to me until very recently. Generally I dislike tv chefs and none more than the execrable Australian Pete Evans and the French born Manu Feildel. Nor do I find their plastic like visages and glittering white teeth at all attractive. Just the other day Jamie Oliver was being interviewed on ABC Radio Melbourne and I remarked to R, I really want to to dislike Jamie Oliver, but he does talk sense. 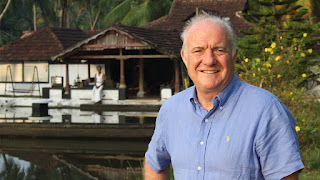 Among all the tv chefs, and he is not what you would describe as a hot young bloke. 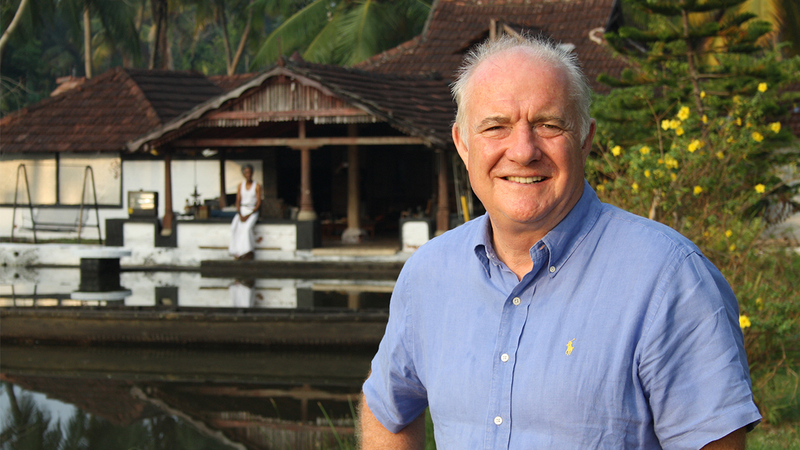 Rick Stein is restrained and without pretence, he explores food of the world without preconceptions. He primarily talks about food but he does a good bit of eating and at times a little cooking. Good lord, will he be able to find anything good about food in Albania next week? Later: Yes he did, terrific seafood. Now just hang on here. Yes, it is efficient to build population density in the inner suburbs, but how far should it go? Our inner suburban roads are already so congested and our public transport is overwhelmed with numbers of passengers. St Kilda already has the a pocket of the most densely populated area of Melbourne. A demolition permit has been issued for the Greyhound Hotel in St Kilda. Seldom am I so shocked. How could this happen? Tens of thousands of dollars has been spent on this hotel in the last few years, if not hundreds of thousands. I have great memories of the Greyhound. It went from being a grungy hotel to a hotel that crossed borders and catered for gays in one area, live bands in another and local drinkers too. We went there many times, with friends and with R's relatives when they visited from overseas. I had an interesting conversation with a local gay entrepreneur while at the urinal and found R's missing pot of beer when he became stressed. With our friend Carlos, we sat cross legged on the floor watching a drag performance like we were Sunday school children. The Greyhound was forced to soundproof itself as ghastly blocks of flats were built around it. Haha, buy a place and then complain about the noise from the pub next door to where you have bought. I don't know much about The Greyhound now, but just this year we were there, at the wake for James/Jasmin. We were treated well with fine finger food put on for us at no cost, obviously coming from the profits from the drinks we bought. I am sure we passed by recently one Saturday night and saw a queue on the street to enter the pub. I don't blame the owners for not refusing a good offer. I don't really blame the council or the very evil Vcat for the issuing of a demolition permit for The Greyhound. It is all quite legal and the building has no great architectural merit. Yet it has an intangible quality and adds to the immediate area.Some Sometimes I just don't have the word skills to express things as I would like, and this is one such occasion. This is my photo and make it bigger by clicking on it and seeing the ghastly block of flats built next door. This is an artist's impression published in The Age of what will be built there, and we all know about artists' impressions. It is monstrous and surely won't be approved. 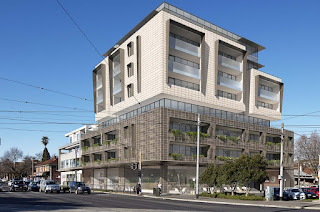 Well, the council may not approve it but the developer will appeal to VCAT who will give it a great big tick. VCAT consistently goes against local councils and residents over developer projects. VCAT is a disgrace. VCAT stands for Victorian Civil and Administrative Tribunal. Joining with River for Musical Monday. She at times has good taste in music. At times she has bad taste in music but isn't music such an individual thing? I have posted this clip before but it was over five years ago. I quite like the bearded hipster look and it's interesting to note bearded hipsters were around 36 years ago. The only difference is no cheesecloth with the current bearded hipsters, yet. What a shame Cat Stevens got religion and changed his name to Yusuf Islam. I've just remembered, Cats in the Cradle is probably his most popular and well known song. I must look at that clip. Note in this clip that his tousled hair is actually quite stiff. It was probably given a good spray of Richard Hudnut. Cat reminds me a little of Fen's beau. Joining in with River and others for Sunday Selections. This week's are totally random. Brighton Antique Dealer has given us some very nice gifts over time but this time for my recent birthday.....well, not our style. It's a fashion drawing with Italian words and it was hinted that it was worth something. It is resting in a drawer while we decide where we won't be hanging it. I dislike the frame more than anything. A new Myki validator on a new tram. It is lightning fast, but it doesn't show your card balance. This is good as people won't hover in the doorways while trying to check their card balance. Town Hall flower boxes. There quite a number of them and the flowers change often. In the background is a stand of either geraniums or pelargoniums. I have grown both, at times from cuttings and they do very well after being left on the hot driveway for two days before planting, yet still I can't tell the difference between the two. Can someone inform me? We assumed our Hong Kong born neighbours owned their place, especially when they told us that when they moved in when our building opened, they slept a few nights on the floor before they bought beds and there was no hot water. But no, they were tenants of a friend of theirs. They did drive a Mercedes though. Social climbers that they were, they built a house in Hoppers Crossing! and left us after a decade or more. So selfish and I still haven't forgiven them. Since then a succession of overseas students have rented bedrooms. I think they are mainland Chinese as they don't seem to be able to relate to western people at all, and they are young. Well, students have to earn money and your guess at her profession is as good as mine. A make up consultant? Given the very weird hours she keeps, like lights on a 3 am, I think the extreme. I didn't notice the mozzies on the window when I snapped. It is evidence that we are plagued by them this year, yet not once have I been bitten. I must have been fiddling with camera settings. Look out balloon driver for that very sharp looking church spire. When I saw the balloon, I realised I hadn't seen any for months. Last year they continued to fly for the whole year, unlike in years past. But this year, again they stopped over winter. This is a very large poster high on a wall at the big green hardware shed in Port Melbourne. I rather like it as a gesture of recognition for the workers. Nearly in the centre is the signature of Avtar Singh, with the S looking a bit like an erect cobra snake. Yes, yes, tree fire risk, power lines and all that, but really! Why do trees have to be so humiliated? I caught the tram to Port Melbourne as the big green shed is less than ten minutes walk from the tram stop, but after leaving, there was a bus due that is closer, so I caught that back to town. The forecourt of The Age building in Spencer Street, taken from the bus. Give 'em some grass, and they will sit on it, unless of course it is Paris where grass sitting or walking upon grass is verboten. No wait, it is not The Age building. I don't where it is. A touch of the countryside in Queen Street in the city while I was waiting for the bus home. It took as long to travel three city blocks in the earlier bus from Spencer Street to Queen Street than it did to get from Port Melbourne to Spencer Street. I should have left the bus at Spencer Street and caught a train to Flinders Street and a tram home. Splendid food at a barbeque a couple of weeks ago, and I am not showing the huge piece of meat I shoved into my mouth. No Jack, no human food for you. Dog Jack shows a great interest in human food and the preparation and smells of it, but does not like to eat it, except for cauliflower. I am kind of sad about this photo. These are Little Jo's things on top of our fridge for when she visits. They haven't been used for a long time and are quite dusty. I guess it is time to put them away. She will be ten next year and I don't think Dora the Explorer has much appeal to her now. The gladdies were great, for a few days. I only offered advice on the Christmas cake making this year. It turned out really well, in spite of my advice. I did physically assist by putting my finger on a piece of string and simultaneously holding all four corners of the brown paper while the brown paper was tied. (you try that! It was stressful) They are actually cut up brown paper bags and we have two packets, through poor shopping practice, of 200 brown paper bags. So 400, less those used, perhaps 30. Please don't send me brown paper bags as a Christmas gift, unless they are the kind of brown paper bags that politicians and police receive as gifts.